UEFA have revealed the fans' team of the year for 2018, featuring just three Premier League representatives - and none of them are Mohamed Salah. The final team was revealed on Friday after a month of voting which saw 1.8m votes cast in total, and features the fearsome front three of Lionel Messi and Kylian Mbappe and Cristiano Ronaldo - who won more votes than any of his attacking counterparts. Ronaldo's 2018 saw him win a fifth Champions League, and finish top scorer in the competition for the sixth straight season. 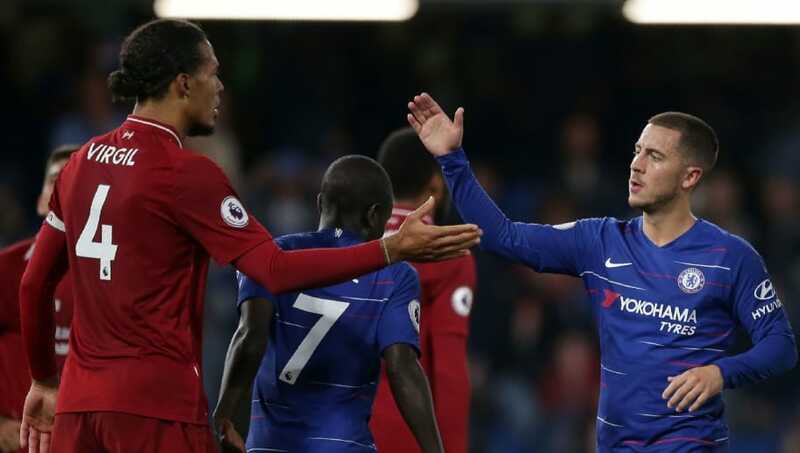 The three-man midfield, meanwhile, is dominated by ​Chelsea, as Eden Hazard and N'Golo Kante join Ballon d'Or winner Luka Modric, after all three players had terrific World Cups, while Modric also took home a Champions League for his troubles. Kante was a central part of France's victory over Modric's Croatia in the final, while Hazard picked up a third place medal with Belgium. The defence is unsurprisingly heavy on ​Real Madrid stars, as Sergio Ramos, and Marcelo occupy the full-back positions, while France's Raphael Varane takes one of the centre-back spots. The other defensive slot goes to Liverpool's Virgil van Dijk, who arrived at ​Liverpool last January and played a key role in transforming their defence into one of the most formidable on the planet. To round things off, ​Barcelona's Marc-Andre ter Stegen takes the gloves, after a 2018 which saw him miss just one match for his club and brought the year to an end with four consecutive clean sheets.